ABILENE, Texas (KTAB/KRBC) - Motorcycles have been banned from the Western Heritage Classic Parade after a horse pulling Texas Senator Dawn Buckingham bolted, causing her carriage to overturn. 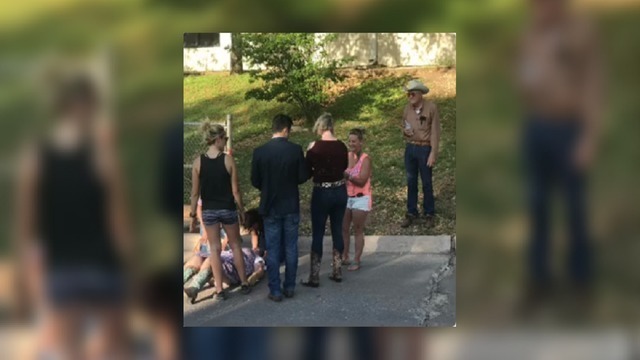 The horse, which was pulling Senator Buckingham and one of her aides, was spooked when motorcyclists "revved their engines under the underpass of North First at Oak St," according to a press release from the Abilene Police Department. Buckingham and the aide were able to jump from the carriage without injury, but the press release states the driver was thrown and ended up under the carriage. She was transported to the hospital with minor injuries and has since been released. A Taylor County Expo Center representative says that because of this incident, "motorcycles will not be allowed in the Western Heritage Classic Parade in the future." KTAB and KRBC are working to determine if motorcycles will be banned from other parades as well.